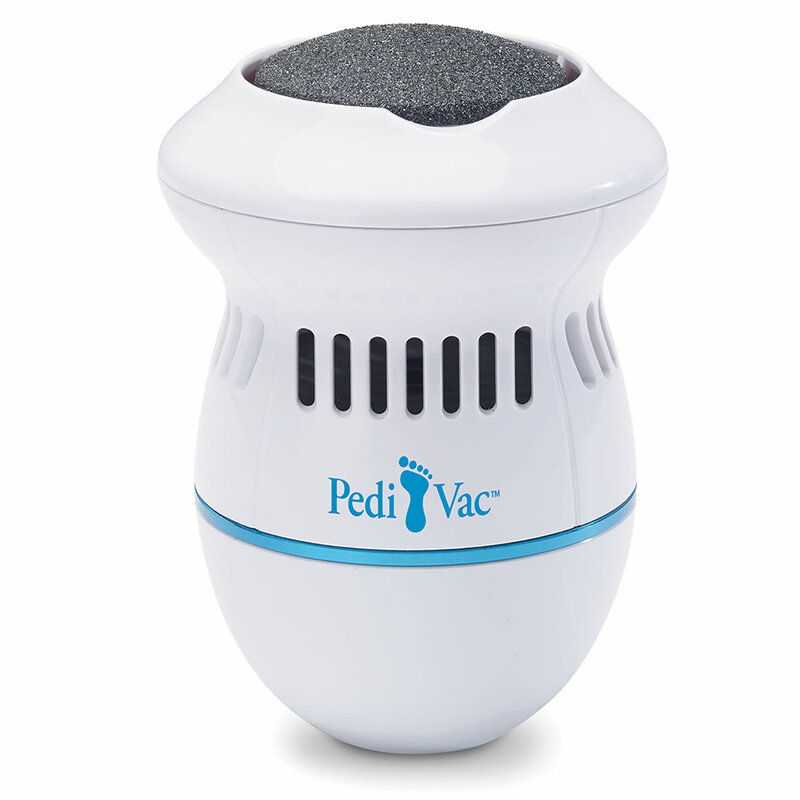 This is the powered pumice stone that removes dry, rough, and calloused skin on the feet and captures it via built-in suction. Its roller spins at two speeds (1,600 and 2,000 rpm), quickly and effectively buffing away hard, jagged skin on the sole and heel to leave feet softer and smoother. Similar in size to an electric razor, it can be held comfortably in one hand, producing salon-quality results with less time, effort, and mess than a standard pumice stone or metal foot file. Includes a buffing pad and emory pad that lasts three months. Charges via USB. 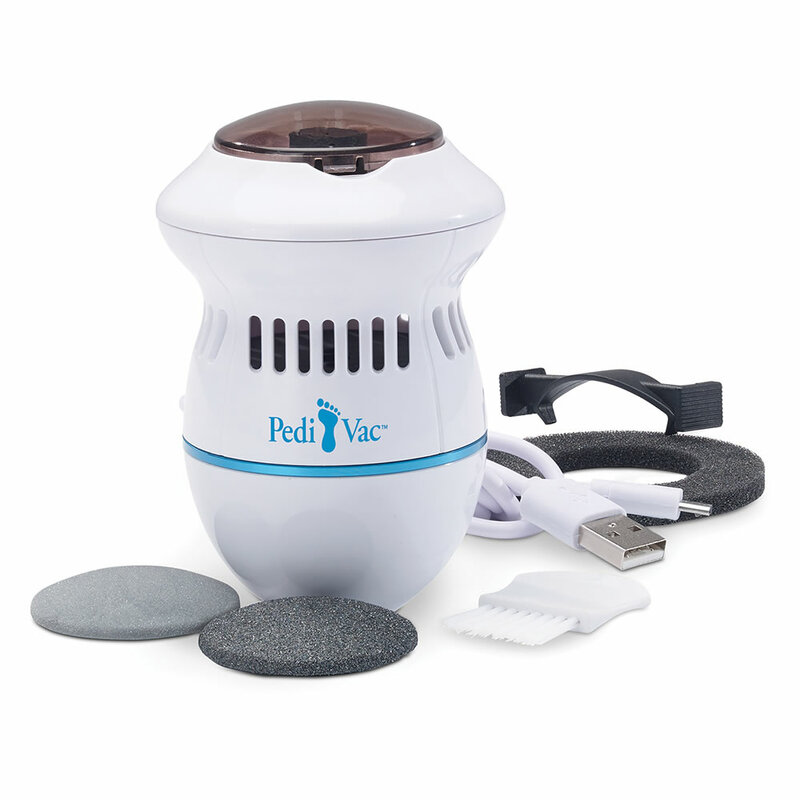 The Powered Pumice Stone Vacuum comes with The Hammacher Schlemmer Lifetime Guarantee. Items that we sell are guaranteed for their normal life under standard non-commercial use.